Through this partnership, employees can ask various physician specialists any question any time and always get personal, confidential answers with eDocAmerica's telemedicine service. As distributed via press release on July 17, 2018. Little Rock, AR. – June 29, 2018 – eDocAmerica.com, a leading telemedicine provider, is pleased to partner with CoreHealth Technologies to provide global users of their corporate wellness platform direct access to a broad team of online medical professionals. Through the partnership, eDocAmerica will seamlessly integrate its telehealth services directly into the CoreHealth wellness platform. CoreHealth is a leader in wellness technology which is used across the globe for more than 2,000,000 employees. Through this relationship, current and future CoreHealth clients will have the opportunity to access nine different medical specialists from right within the CoreHealth wellness platform. Currently CoreHealth’s wellness platform is the backbone for a variety of organizations including corporate wellness companies, employee assistance companies, insurers, health systems, and more. “We are truly pleased to have the opportunity to partner with CoreHealth and create a seamless eDocAmerica experience within its cutting edge technology. With eDocAmerica, medical professionals are available at your convenience to provide the timely answers you need to have the confidence to act for better health. With the powerful combination of CoreHealth and eDocAmerica, businesses have personal, powerful tools to truly impact the health of their population,” says Robbie Linn, President of eDocAmerica. 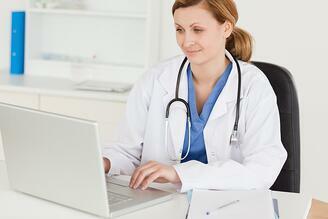 Pew Research has shown that roughly 75% of all adults go online to search for medical information. With eDocAmerica, CoreHealth clientele can access nine different medical professional teams including primary care, psychologists, pharmacists, dentists, dietitians, fitness trainers, alternative medicine doctors, ophthalmologists, and pediatricians. In an era where individuals only trust information as must as they trust the source of the information, eDocAmerica brings the highest credible sources of health information directly to users finger tips thus empowering users to take control of their health. eDocAmerica.com is the newest vendor to join CoreHealth’s network of third-party, best-in-class wellness vendors. Founded in 1999, eDocAmerica was a pioneer in the telemedicine space. With hundreds of clients and users from over 100 countries, eDocAmerica has grown to provide direct access to medical professionals for users all across the globe. eDocAmerica strives to conveniently and personally bring the medical provider to the patient thus empowering the patient to make better health decisions, catch problems earlier, and have peace of mind for those upsetting but non-critical health issues. With integrations that embed eDocAmerica directly into existing member portals, eDocAmerica is flexible to meet patients at any time and at any place. For more information, visit the eDocAmerica website. CoreHealth Technologies Inc. is the leading corporate wellness platform trusted by more than 1000 organizations, ranging from medium-sized businesses to Fortune 500 enterprises. At CoreHealth, we believe that developing the best employee wellness programs is all about giving wellness companies the right code, design and access to the latest innovations. With the most customization, integrations and reliability of any software in its class, CoreHealth's powerful platform lets users focus on growing great companies. For more information, visit the CoreHealth website.